Subscribe to swop newsletter now! Around 10,000 visitors at pacprocess India, IndiaPack,FoodPex India and the parallel event drink technology India –exhibitors highly satisfied. The combination of several trade fairs – the interpack alliance events pacprocess India, IndiaPack and FoodPex India and the parallel trade fair drink technology India, held by Messe München – can look back to a much acclaimed première in New Delhi. Companies responded well to the concept of trade fairs supplementing one another from the packaging sector and the processing industry (interpack alliance trade fairs) together with the areas of beverage technology, dairy and liquid food (drink technology India, held by Messe Munich). There was also a good response to the new venue, New Delhi, alongside the main venue, Mumbai. In all, from 26 to 28 October, 212 exhibitors occupied around 11,000 square metres of exhibition space and attracted 9,699 trade visitors to the Pragati Maidan Exhibition Centre. In addition. 600 delegates visited the simultaneous International Summit for the Packaging Industry(ISPI), held by the Indian Institute of Packaging (IIP). This year's conference, which was completely booked out, ran under a motto intended to reflect the significance of the packaging industry for economic growth in India: “Packaging – the Growth Driver”. “Our aim is to continually expand the leading role of our events for the Indian industry. Membership of the interpack alliance is considered to be a special seal of approval and therefore as something that warrants a clear increase in quality. The première of this new constellation of trade fairs showed that this approach was accepted extremely well,” says Bernd Jablonowski, Global Portfolio Director Messe Düsseldorf. Moreover, there was positive feedback on New Delhi as a venue: “We are very happy that Messe Düsseldorf gave us an opportunity to showcase our technologies which we want to bring to India. I am also happy that you have started a show in New Delhi as there are not many big shows,” says Kapil Sharma, Norden/Citus Kalix (coesia companies), Business Head Tube Filling & Cartoning India & SAARC Region. pacprocess India, IndiaPack and FoodPex India are held once a year in combination with drink technology India (run by Messe München). Being held under a single roof, the four trade fairs map the thematic areas of packaging and related processes (PacProcess India), packaging materials and equipment as well as machinery and technology for the production of packaging equipment (IndiaPack), food and confectionery processing and packaging (FoodPex India) and also beverage technology, dairy and liquid food and the related packaging industry (drink technology India). Moreover, these trade fairs have a leading role in the region. Following New Delhi in 2017, next year’s venue in autumn will be Mumbai. Every other year this urban hub on the Arabian Sea is a fixture for the trade fair quartet, while the venue varies between other Indian regions in the intervening years. In 2018, following a recent cooperation agreement between the interpack alliance and the Italian mechanical engineering association UCIMA, the latter will give its support for the marketing of Messe Düsseldorf's Indian event by attracting visitors and organising an Italian joint stand. National pavilions at this year's trade fair quartet came from Germany, China and Taiwan. In addition, there were also international brands from Italy, Turkey, the United States, Belgium, Slovenia and Switzerland. Processing & Packaging portfolio. Exhibitors and visitors can recognise the corresponding trade fairs by an umbrella brand that is oriented towards its counterpart – interpack, the world's most important event in the packaging industry and related process industries. 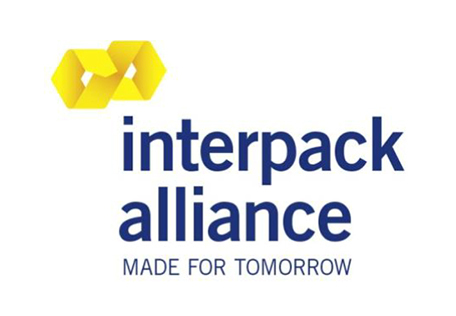 In addition to the flagship trade fair giving the alliance its name the interpack alliance includes the trade fairs upakovka (Moscow), food pex (Shanghai), bulk pex (Shanghai), pacpro Asia (Shanghai), pacprocess India/IndiaPack and food pex India (Mumbai, New Delhi), pacprocess Tehran (Tehran), components (Düsseldorf), food processing & packaging exposyum Kenya (Nairobi), indopack (Jakarta) as well as process expo (Chicago). The Chinese events are held together every two years as the Shanghai World of Packaging (swop). 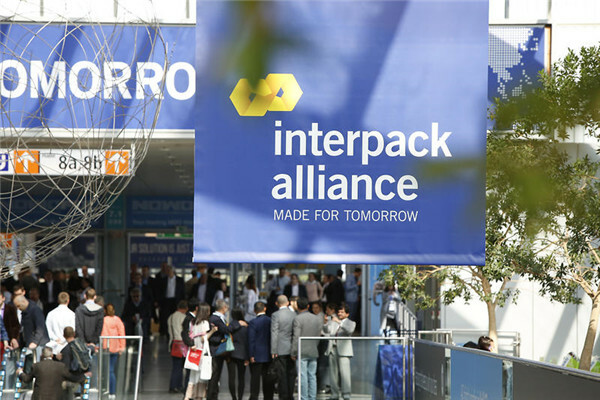 The interpack alliance targets the segments food, beverages, confectionery and pastries, pharmaceuticals, cosmetics, non-food consumer goods as well as capital goods on important growth markets – with focal themes differing by event. 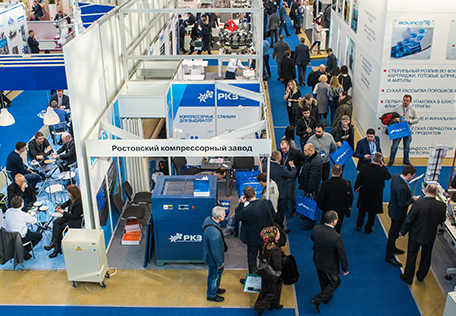 The trade fairs in China, India, Iran and Russia are exclusively supported by the Italian Packaging Machinery Manufacturers Association, UCIMA. The Indian Institute of Packaging (IIP) is an autonomous body in the field of packaging and working under the administrative control of the Ministry of Commerce and Industry, Government of India. The Institute was established on 14th May, 1966 with its headquarter and principal laboratories in Mumbai. The Institute set up its first branch office at Chennai in 1971, followed by branches at Kolkata, Delhi and Hyderabad in 1976, 1986 and 2006, respectively. The main objective of the Institute is to promote the export market by way of innovative package design and development as well as to upgrade the overall standards of packaging in the country. The Institute is involved in various activities like testing and evaluation of packaging materials and packages, consultancy services and research & development related to packaging. Besides this, the Institute is involved in training and education in the field of packaging.